BenQ have several choices of best home theater projectors you can buy, including the famous W1070 and W1080ST. Both projectors feature 10,000:1 contrast ratio with 1920 x 1080 HD resolution. The BenQ W1080ST which have Short Throw is more expensive than W1070. So, what is your choice? Find out the answer right on below. Save area and enjoy big screen entertainment even in tiny rooms because of the W1080ST’s short throw ability–up to 65″ at 1m. 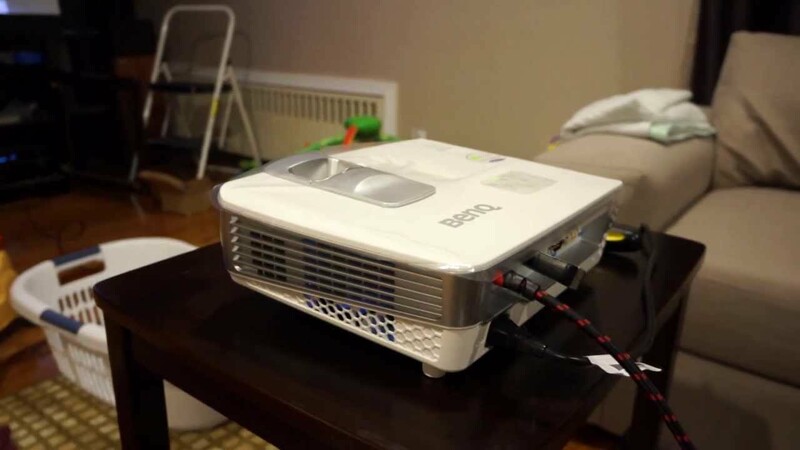 Put the projector up close and don’t worry about screen obstruction or needing extra space for motion-sensitive gaming. Take pleasure in 1080p Full-HD image projection up to 200 inches in the convenience of your living room with the W1070 Home Entertainment Projector. You will be intrigued with amazing image performance offering the native 1080p DarkChip3 DLP Technology by Texas Instrument, 10,000:1 contrast ratio and a 2000 lumen brightness. Built-in speakers and easy set-up seal the deal on this user-friendly experience. The short throw in W1080ST is important feature in a smaller room. This will put the projector up close and don’t worry about screen obstruction or needing extra space for motion-sensitive gaming. If you currently need this feature, then you have to pick W1080ST. If you have no problem with space, simply save your money and choose W1070.